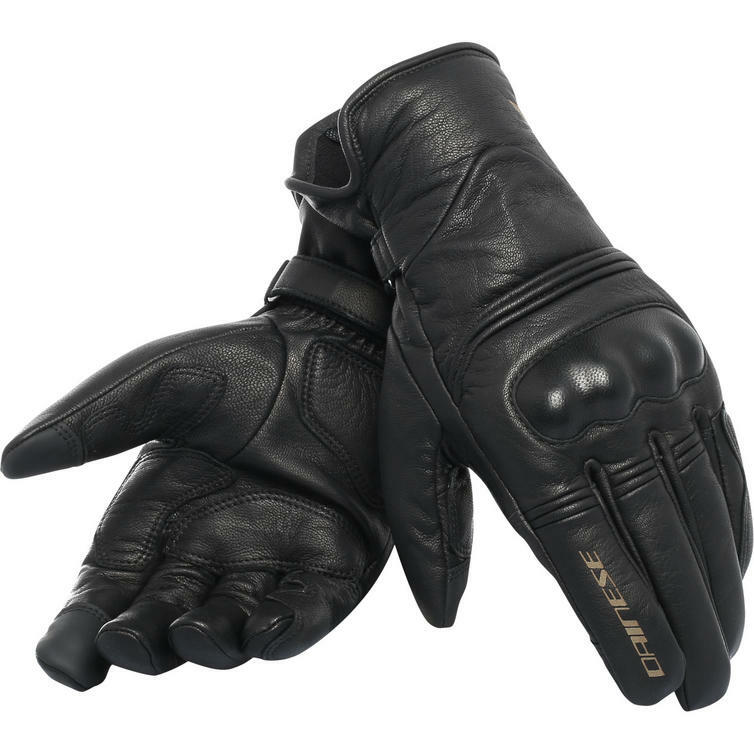 The Dainese Corbin Unisex D-Dry Motorcycle Gloves are part of the latest Dainese collection. A three seasons glove with the superior feel of soft drum-dyed goatskin leather, plus the protection of polyurethane knuckle inserts and a D-Dry waterproof membrane. CE Cat. II and EN 13594 certification put their seal on safety that won't cramp your style.